All of this is bad enough, but it obscures further problems entailed in Donald Trump’s use of military force to send messages to foreign regimes. This form of messaging, as illustrated by the cruise missile strike in Syria, plays so much to Trump’s inclinations that we are likely to see many more instances of it. 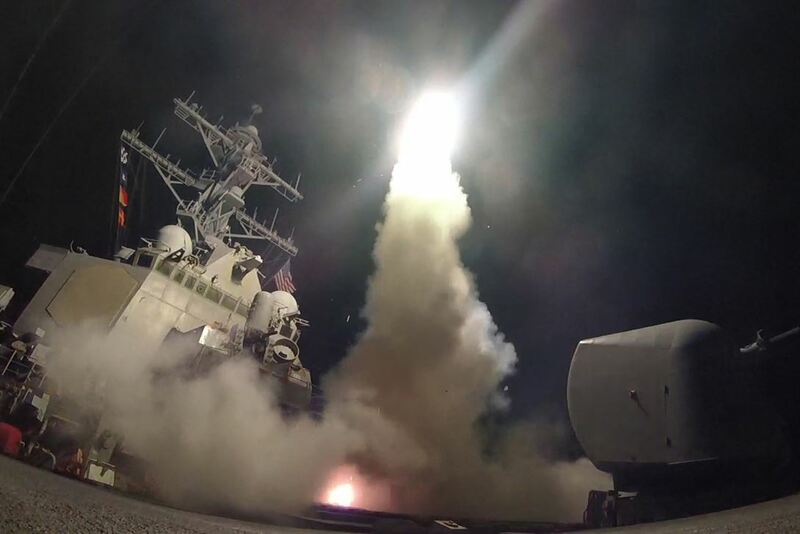 It is an emphatic and dramatic gesture that may be grounded, as the strike in Syria evidently was, more in emotion than in any careful thought about long-term strategy. Sort of like a tweet with lots of exclamation points. Probably the message from the strike in Syria that the White House valued most was one sent to domestic audiences. The missile strike won support across a wide part of the American political spectrum. The action could be presented as a break from Barack Obama, amid a plethora of international problems that the current administration has no better ideas or options for solving than Obama did. The missile strike was especially cheered by neoconservatives who see any use of military force against a disliked regime as one more step toward neocon recapture of control over U.S. foreign policy. But as for sending messages to foreigners and foreign states, there is no indication that the Trump White House fully understands the principles involved in making that kind of messaging effective — principles that the strategist Thomas Schelling explained half a century ago. There is, first of all, the question of what exactly is the message. Bombs and missiles are not articulate things; they are incapable of explaining objectives, limits, red lines, or anything else that the users of them may want to communicate. Trump’s cascade of flip-flops, and the vague nature of the rhetoric about putting people on notice and running out of patience, do not help in the communication. The best face-value interpretation of the attack in Syria is that it had to do with punishing and deterring use of chemical weapons. But if the purpose was to enforce an international norm and international law about use of chemical weapons, persuading anyone of that was made more difficult by the lack of any effort to obtain international sanction, especially through the United Nations Security Council, before a retaliatory strike. Messages — like names, and unlike sticks and stones—don’t necessarily hurt very much. A message-sending military attack can actually help the regime or group that is targeted, by giving it an opportunity to demonstrate to its constituencies how it is surviving the attacks of, standing up to, and striking back against the American superpower. And it does so with the added benefit of riding any popular resentment against foreign, especially U.S., intervention and resentment against any casualties inflicted by foreign military operations. A key, per Schelling, to making a message-sending action effective is to link it in the minds of the targeted regime to the prospect of more destructive action if certain demands or standards are not met. One way of achieving such linkage is for the message-sending operation to carry, by its very nature, the risk of escalation into something bigger and more destructive. The missile strike in Syria did involve a danger of escalation, especially if it had killed any Russians, but there is no indication that the Trump administration wants a military clash with Russia (although the administration’s current posture toward Russia is yet another topic infected by muddled messaging). What is most important in the end is not only the message and the risk of escalation but a belief in the minds of the leaders of the other state that our own leaders consider the issue at stake to be so important that they are willing to fight a bigger war over it. But that is not true of the civil war in Syria. The United States simply does not have that kind of stake in its outcome, which is why the Obama administration wisely did not immerse the United States in that civil war. With North Korea, the prospect of nuclear weapons atop long-range missiles represents high stakes, but so do all the other dimensions of that problem, including the danger of sparking a new Korean War, that have made the issue a difficult puzzle for all the U.S. administrations that have had to deal with it. 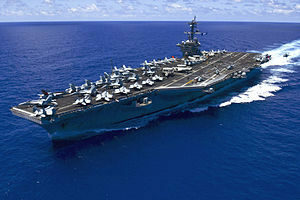 Once the Vinson finally gets to the vicinity of Korea, as we are told that it will, what exactly could its aircraft do that would make sense given this panoply of U.S. interests and hazards to those interests? It is hard to answer that question, and it is hard also for Kim Jong-un to answer it. Underlying not just the Trump administration’s attitudes but also a larger discourse in the United States about military message-sending is the recurrent tendency, especially among those cheering neocons, to believe that lashing out militarily anywhere in the world buys the United States some kind of leverage or influence with regard to issues anywhere else in the world. It doesn’t. That is simply not how international reputations and credibility work. 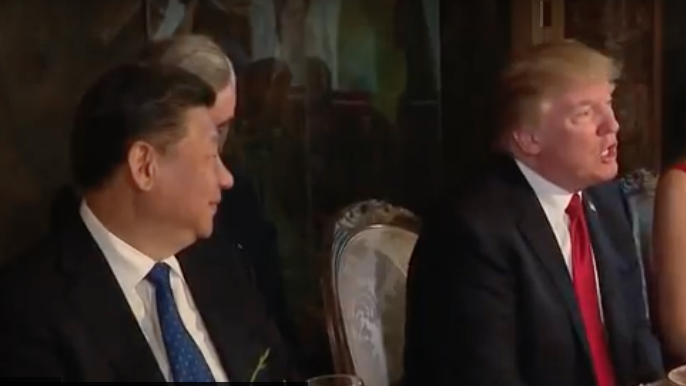 What matters is the strength of interest that the United States has in any one issue, along with its ability to communicate to others how strong that interest is. Donald Trump may not be a neocon, but he clearly is inclined toward the lashing-out-wins-points approach rather than careful issue-by-issue consideration of where U.S. interests do and do not lie. And the lashing out also satisfies whatever internal demons sustain his eruptive nature. He already had Twitter for sending out angry messages. Now he also has cruise missiles and other military hardware for sending such messages. His use of the latter may show some of the impulsiveness he habitually shows with the former.